Edited on February 26, 2012: Scoreoid has recently gone through an API update. The demo here will no longer work, but the changes are not huge. I got my own local copy running well. If anyone wants an updated ColdFusion wrapper, please let me know. This morning I checked out Jesse Freeman's daily 'Code Warmup' and discovered a new service called Scoreoid. Scoreoid is a free service that provides basic game stat management, specifically it allows you to offload the chore of tracking scores, players, achievements, and game stats. You may ask why you would even need to bother with that. 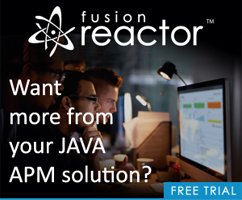 Those tasks wouldn't be too difficult with a server-side language like ColdFusion. But for folks developing mobile games, being able to skip the server completely is very compelling. And as much as I love to write server side code all day, offloading tasks to someone dedicated to it is almost always worth taking a look at. You can see a full list of features on the site itself. Did I mentioned it was free? Yep - I got my email confirmation two minutes after signing up. They will soon be offering a Pro version of the service which will cost money. Oddly you have to sign up and administer your games at their dot com site. So you go to .net for your docs and .com for your console. Once I figured that out though it was smooth sailing. The API is very easy to use and supports both XML and JSON responses. After entering your username, the game screen is presented. To play the game, you just click the button. That's it. Let's take a quick look a the code behind this. The code here really isn't terribly relevant, but I want to show the initial state so you can see how I mark it up later to make use of Scoreoid's API. Ok, so let's talk Scoreoid. First off, you want to take a look at their wiki to get an idea as to how their API works. You have methods to get basic game stats, score stats, and player stats. 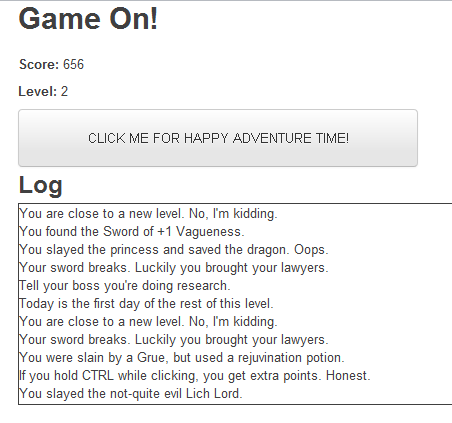 I realized rather quickly that my game doesn't really have a score per se. It's not like a game of pong where you play, hit a score, and the game ends. Like most RPGs, it just... goes. Therefore I decided not to make use of the Score API. Instead, I decided I'd use the Player API. This API allows you to add/edit/delete players. Player objects are confined to basic game stats. You can't add ad hoc properties. But the fields supported should cover most gaming needs. First, it would register the user with Scoreoid. Basically take in the username and add it to their system. I'm not going to bother with passwords, so right now my system isn't secure in any way, but Scoreoid supports storing passwords and user ids and could handle ensuring you don't add the same player twice. Again, I wanted to keep things simple. So when you say your name is Happy Dan, we add you to Scoreoid. 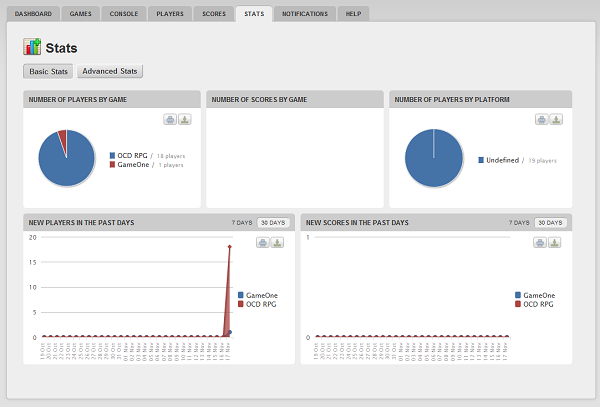 So with that being said, I began by creating a basic scoreoid CFC I could configure with my AP and game ID. I also wrote a function to handle adding the player. Scoreoid will return an error if the player exists, but since I don't care, I just ignore it. And I also register a 'heart beat' that pings the server every few seconds. You can demo this version here: http://coldfusionjedi.com/demos/2011/nov/17/draft2/. Right away, let me make sure it's clear to everyone that I know this system can be hacked. Easily. I'm sure folks will. I ask that you don't. But I know folks will. -sigh- With the basics built, I played a bit and went backto the Scoreoid site. Their dashboard includes some very nice reporting tools. I also made a call to get players. You can't sort by unlocked_levels, so I made use of QuickSort from CFLib. This allowed the creation of a basic stats page: http://coldfusionjedi.com/demos/2011/nov/17/draft2/stats.cfm. That's it. Here's my current Scoreoid CFC if anyone wants to run with it.